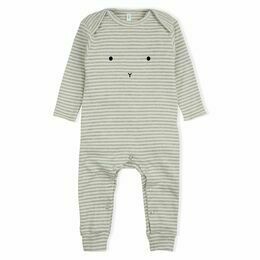  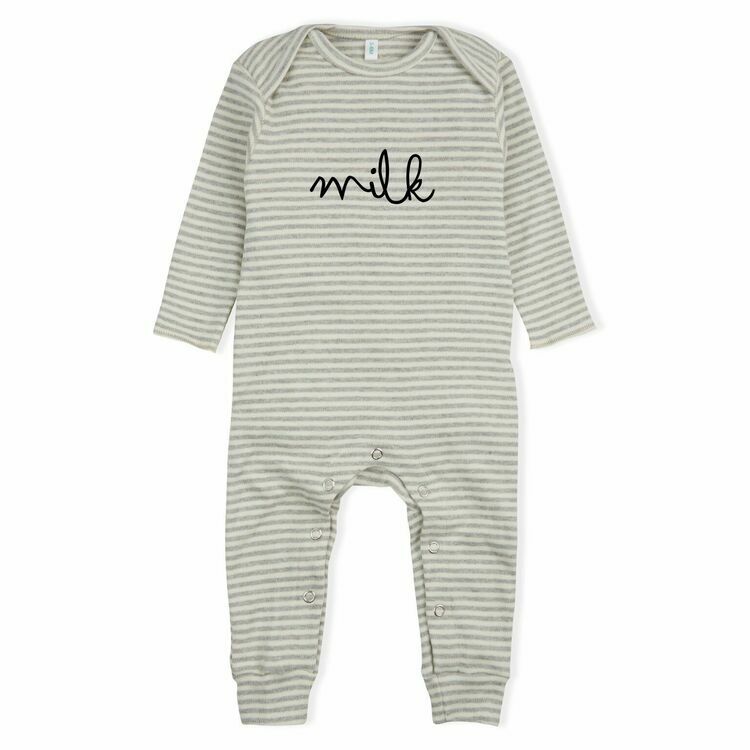 A perfectly simple, organic cotton all-in-one or sleep suit by OrganicZoo. 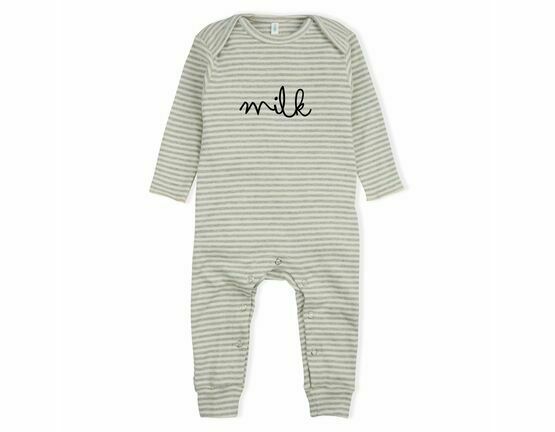 This unisex design on a fine striped grey and natural jersey cotton features the word 'milk' on the front and will make a lovely gift idea for a newborn baby. 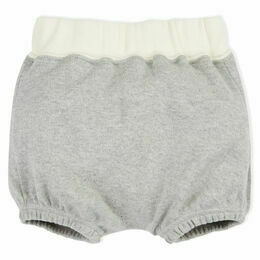 The garment has popper opening around the legs and an envelope neckline to ensure easy dressing.